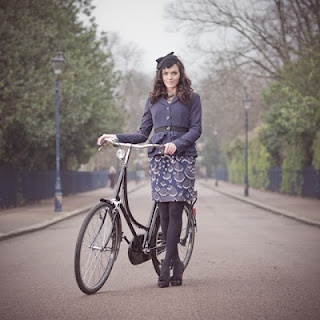 Victoria Louise Gardner, CBE (née Pendleton; born 24 September 1980) is an English former track cyclist who specialised in the sprint, team sprint and keirin disciplines. 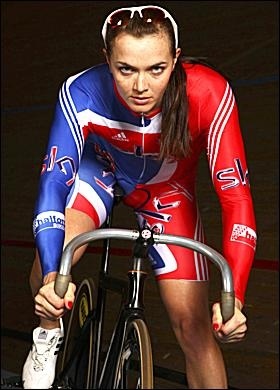 Pendleton represented Great Britain and England in international competition, winning nine world titles including a record six in the individual sprint competition, dominating the event between 2005 and 2012. Pendleton is a former Olympic, European and Commonwealth champion. In 2012 she won the gold medal in the keirin at the 2012 Summer Olympics, as well as silver in the sprint. As a gold medalist at European, World and Olympic level, Pendleton is also a member of the European Cycling Union Hall of Fame. With two gold and one silver medals, Pendleton is Great Britain's most successful female Olympian, having surpassed Kelly Holmes' and Rebecca Adlington's (then) record of two golds and one bronze medal in 2012.